The windows taskbar has a great feature of pinning anything like any application, task or shortcut. If you want to pin a shortcut for any website, you have to do a long process or creating a shortcut and then copy and paste the address / URL of the particular webpage. But if you do not want to follow all this, you can do it with just one click. Open a website or any particular web page in any popular browser like Internet Explorer, Google Chrome or Firefox. Restore the window and then click on the favicon on that page in the URL bar. 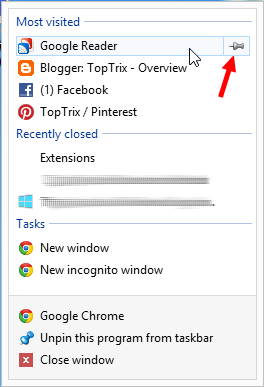 Drag and drop the favicon on your desktop. It will create a shortcut for that web page. To pin the web page shortcut to the taskbar, you need to again drag the shortcut on the taskbar. You can open the web page in your favorite browser and right click on the taskbar button of browsers and you can pin the specific URL to the taskbar there. The web pages pined will remain specific to the particular browser. 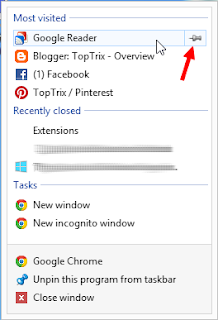 When you have opened the browser, you can right-click on the taskbar of the browser and pin any website.